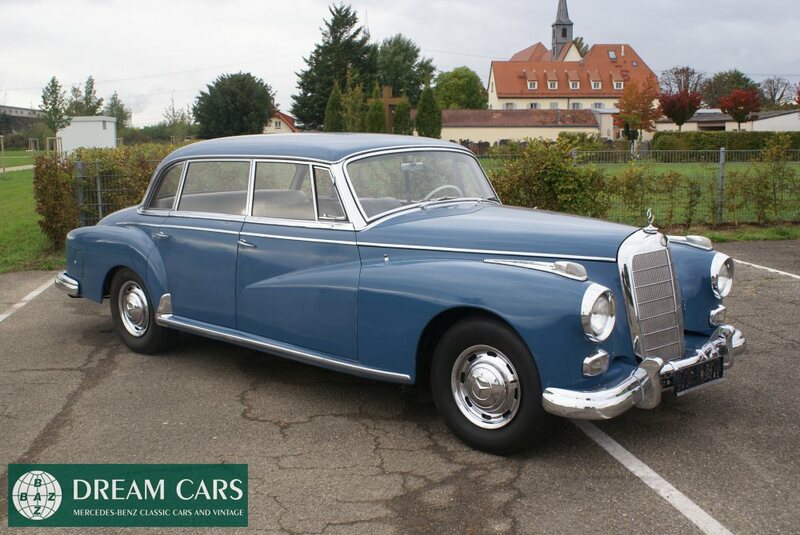 We proudly present a completely unmolested and unwelded 1961 Mercedes 300D Sedan with original paint Light Blue 335 and original grey interior. 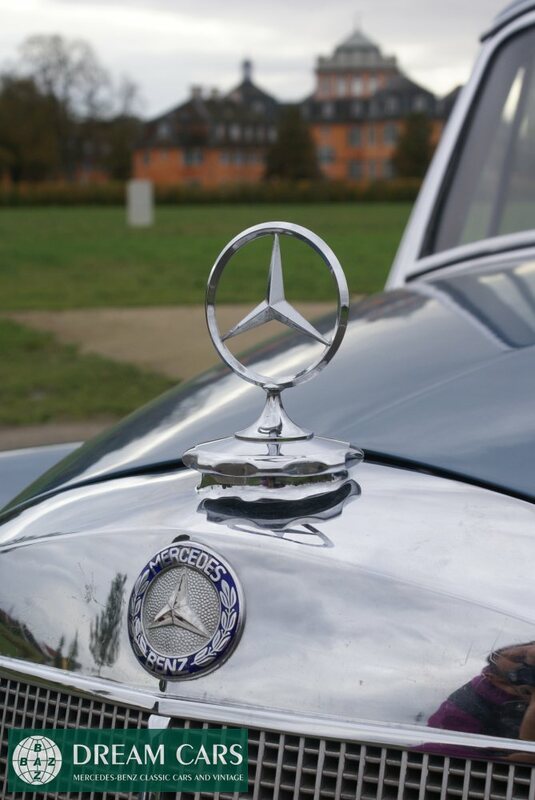 Only 535 of these so called "Adenauers" were produced in 1961. Odometer shows exceptional 91.069 miles. The gas M189 engine is a 6 Cylinder overhead cam with Bosch fuel injection and 160 HP and with a Borg Warner automatic transmission. Maintenance and upkeep has been meticulously done. The mechanical end is almost right up to perfection. Recent compression tests show 140 pounds on all cylinders. 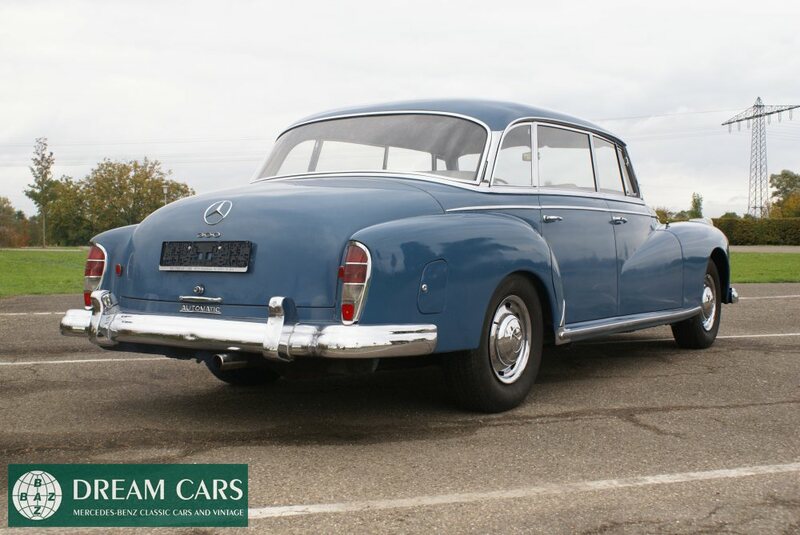 This elegant vehicle rides and drives tremendously. 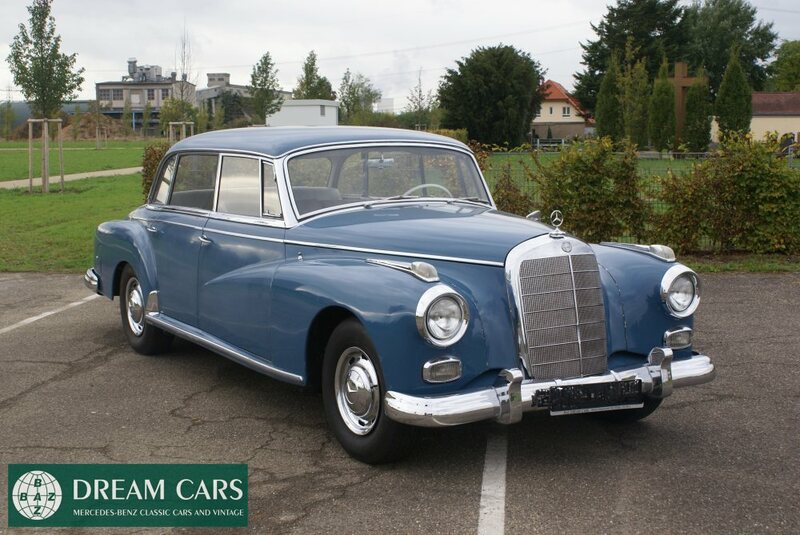 This 1961 MB 300D Adenauer is all original with no signs of rust (top or bottom). Paint still has a decent and acceptable quality, with a few paint chips (pinhead size). This gorgeous piece of art features automatic column shift, original Becker Mexico radio, central greasing and white wall tires- all in all in immaculate condition. All chrome is very good. There is only one minor dent in the headlight ring and 2 dents on the rear bumper. 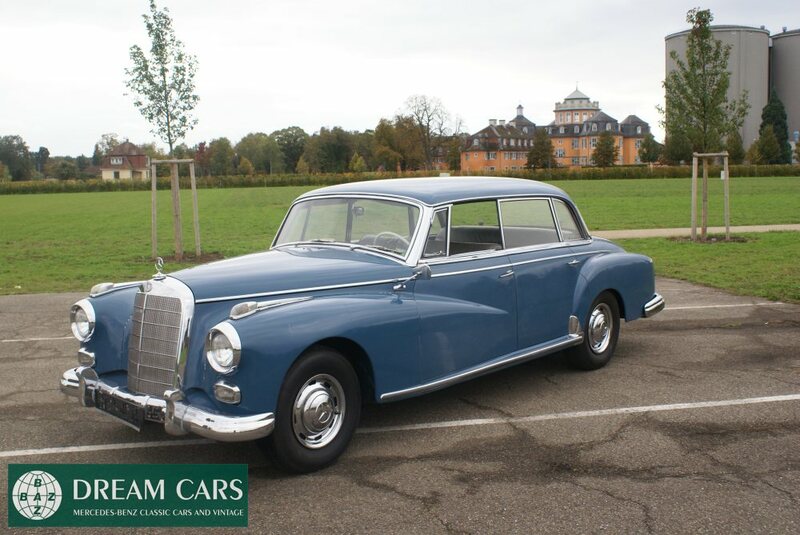 The original interior is Grey leather and still is in exceptional and good condition regardless of its age. The headliner looks tremendous. Wood trim is in excellent condition. 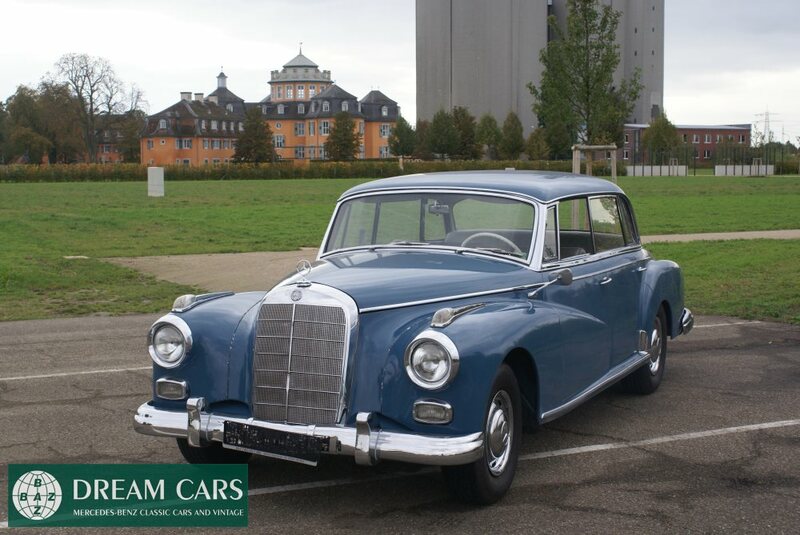 After return to Germany we have conducted several works on the car such as some welding on the undercarriage. The brake system has been completely replaced incl. brake discs, brake booster and brake master slave cylinder. Original Becker Mexico Radio has been sent to a specialist and repaired for almost 800.-€ alone. An all new and complete interior carpet was installed, as well as 4 new door sills and complete windows and doors weatherstripping was replaced.. 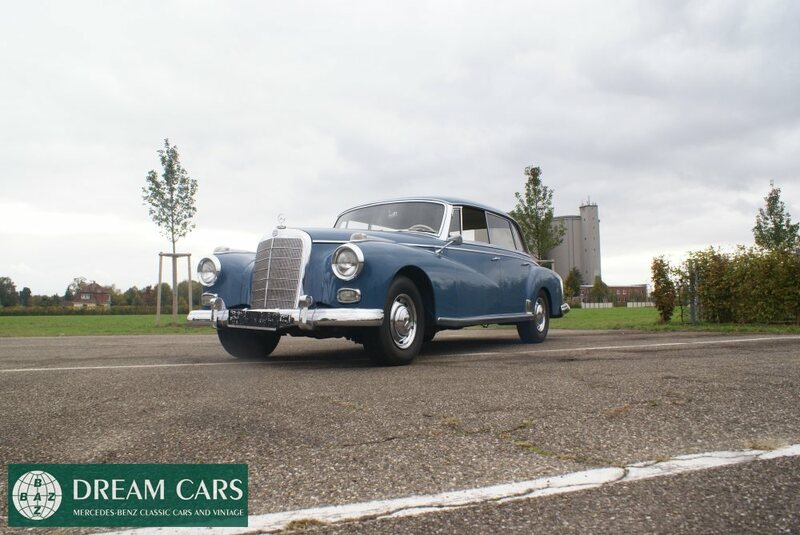 Overall, a fantastic car ready to drive away immediately and with absolutely no foreseeable investment into restoration in the near or distant future. A must see!! Absolutely recommended! 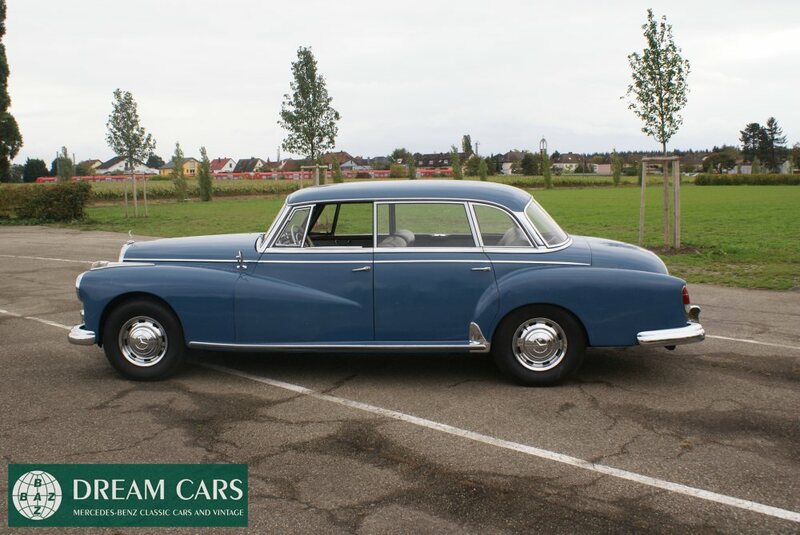 It doesn't get any more original and affordable than this one here.